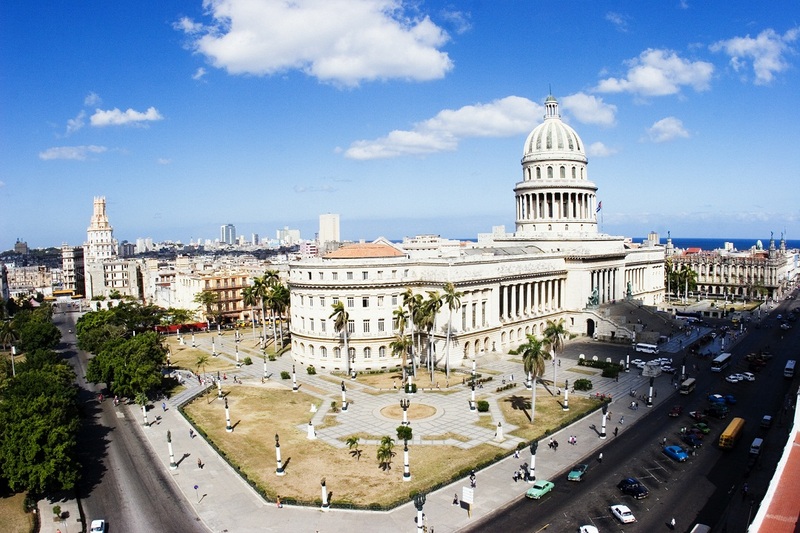 Malecón 663 sits on Havana’s famous seafront boulevard and boasts stunning views out over the water. It is part of a quaint and quirky B&B, run by a local musical couple. This tranquil, chill, little cocktail and tapas bar is just perfect for eating a few nibbles and sipping on a refreshing class of Sangria while enjoying the sweet sea breeze. 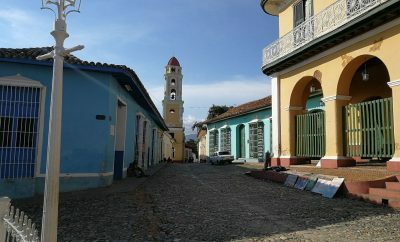 What’s more, there is a charming little shop downstairs selling artisanal soaps and one-off jewellery, great souvenirs of an evening spent at Malecón 663. 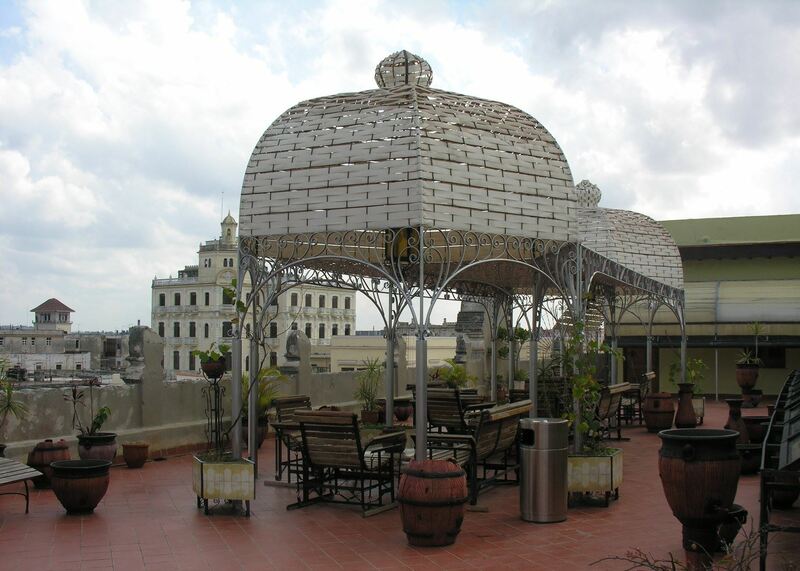 Originally built in 1905, this bar can be found on the roof of Hotel Raquel, which dates back to 1905 and is one of Havana’s few examples of Hebrew architecture. On the way to the bar, you’ll walk through the lobby where you’ll be able to see these Hebrew influences in the David stars and the Menorahs. The bar itself has wonderful Art-Noveau inspired decoration and is quite different from the others bars you’ll have visited in Cuba, as the smaller setting allows for a for more intimate experience. 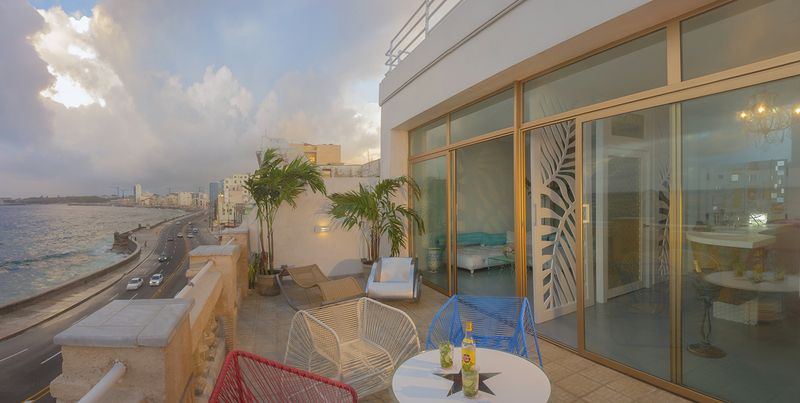 Great architecture, great drinks and wonderful views, the Raquel Hotel Rooftop Bar is just a dream. 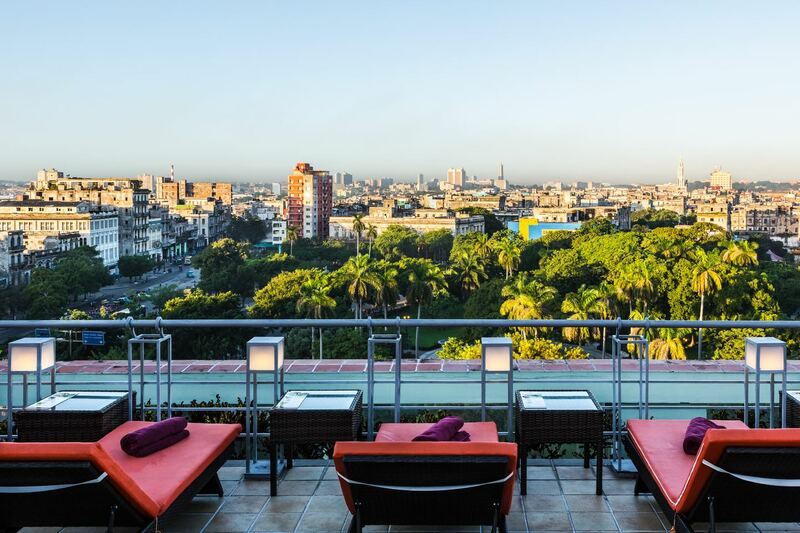 Just across the road from Havana’s Fraternity Park, Saratoga Hotels rooftop bar offers faultless views over the city’s oldest and most famous tobacco factory, Fábrica de Tabacos Partagás, and the impressive Grand Theatre. 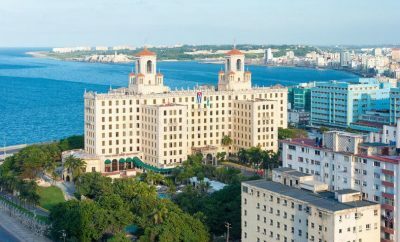 This special hotel has been a favourite haunt for Cuban artists and socialites since the 1930s and was the residence of none other than the king and queen themselves, Beyonce and Jay-Z during their stay in Havana. Just think, you can sit where they sat, drink the cocktails they drank, enjoy the views they enjoyed… This may be the closest you ever get to their lifestyle, make the most of it! 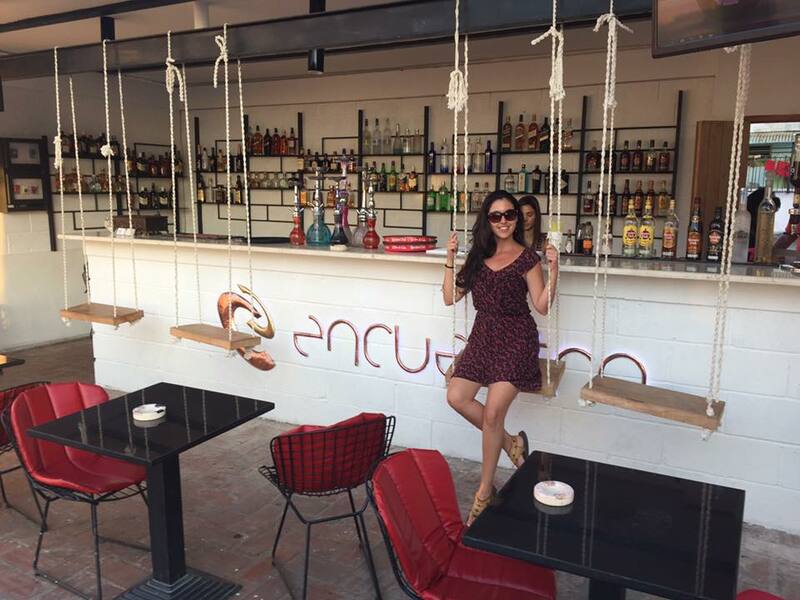 Bar Encuentro might just be the trendiest afterhours spot in Havana. Located in the hip neighbourhood of Vedado, this bar is frequented by tourists and locals alike and has a real party atmosphere, with Cuban music playing and plenty of locals showing off their salsa moves. 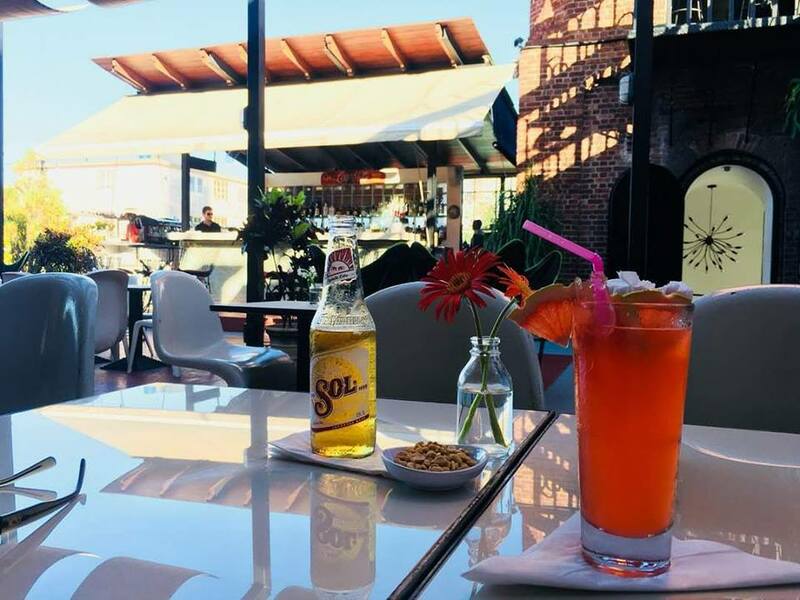 It normally fills up around 1am and the music and dancing carry on until 6, however, this isn’t a booming club, this is a great rooftop bar where you can sit with your friends, share a bottle of rum and maybe some shisha, and just soak up the atmosphere. Set in a renovated industrial space that was once a peanut-oil factory (so hipster I know, this is basically the Shoreditch of Havana), Cocinero is a trendy restaurant/ bar next to Havana’s famous Fábrica del Arte Cubno. There is a fun collection of classic cocktails with a twist, such as a mango mojito, perfect for pre-drinks before you head over to La Fábrica, Havana’s trendiest club.